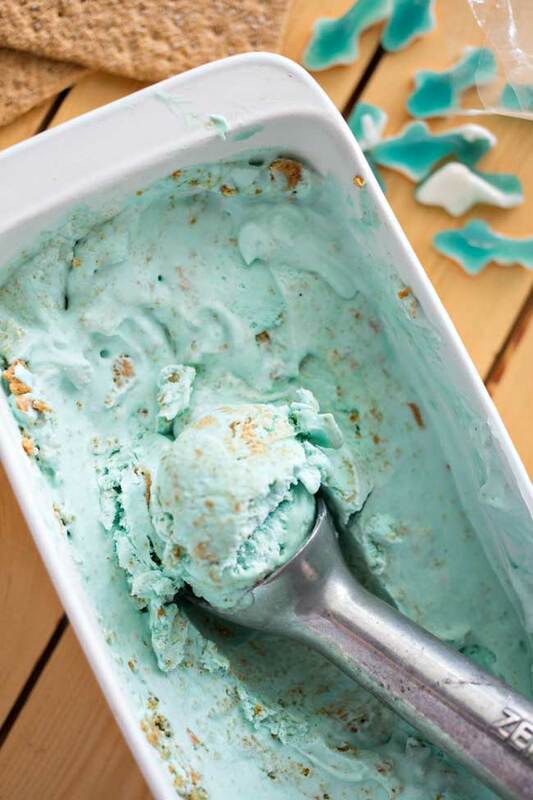 This no churn Shark Frenzy Ice Cream is easy, tasty and fun! 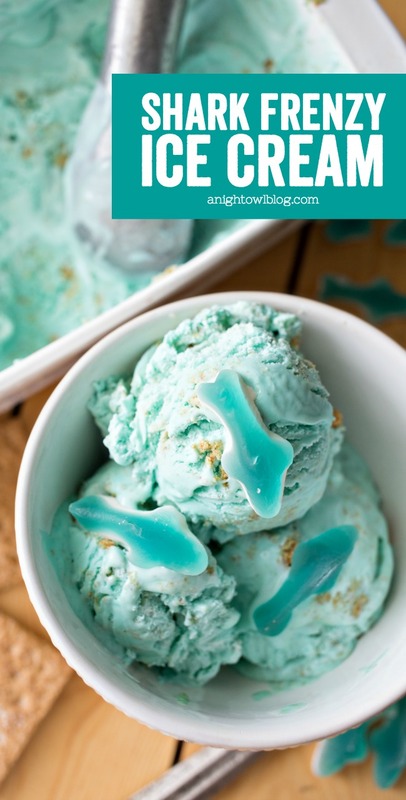 The perfect summer treat for the kids or shark lover in your life! Hi friends! Well we’re a couple days into Shark Week – have you been watching? Thanks to summer break, our boys have been tuned in all day! Hanging out in their new Shark Outfits, eating Strawberry Lemonade Chumsicles and even snuggling up in these new Shark Blankets I snagged from Amazon! Those have been a real hit. 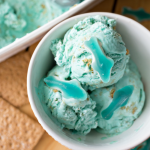 And today we’re sharing another fun shark-themed treat that was super easy to whip up – this no churn Shark Frenzy Ice Cream! It’s probably the easiest ice cream I’ve ever made. The base is heavy cream, sweetened condensed milk, vanilla and some teal food coloring. Simply whip up the heavy cream, food coloring and vanilla until stiff peaks form then add the sweetened condensed milk and beat that until the color is uniform. Add in some crumbled graham crackers and transfer the mixture to a loaf pan and freeze for at least 5 hours or overnight. 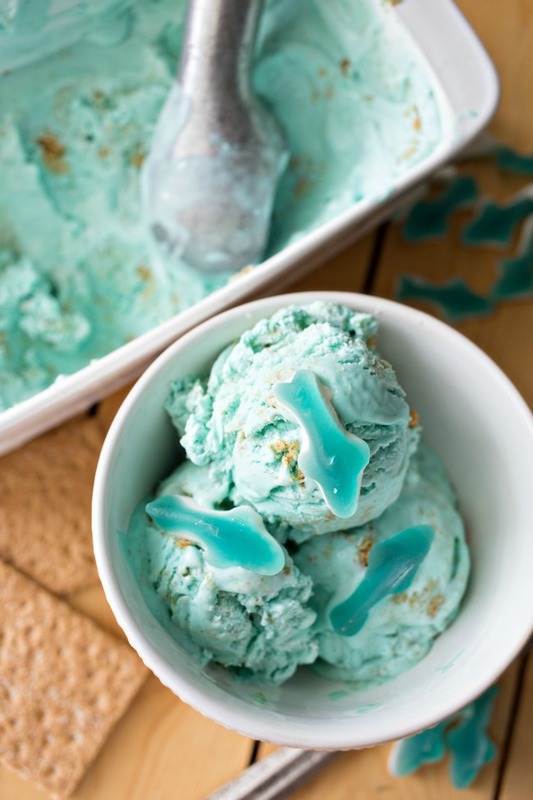 Then once your base is frozen, when you’re ready to serve simply scoop the yummy ice cream and add your gummy sharks! I found these awesome sharks at World Market but you should be able to find something similar at most candy stores, especially right now. 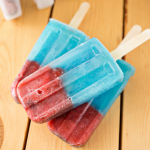 These sharks have a great raspberry flavor and go really well with the simple sweet ice cream. Fold in crumbled graham crackers and transfer to loaf pan. Transfer loaf pan to freezer for at least 5 hours. 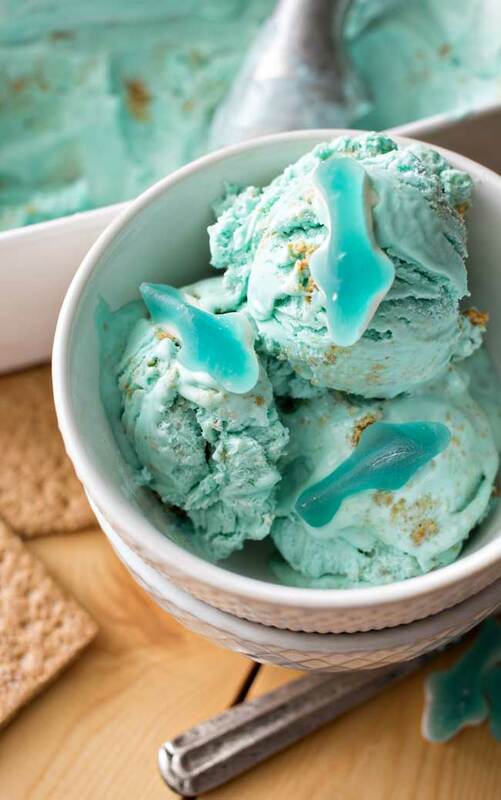 To serve, scoop ice cream and add shark gummy candies. So there you have it! 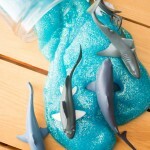 Another fun Shark Week treat – or really a fun treat for your kiddos or shark loving friends anytime this summer! I know the boys were ecstatic to give it a try! 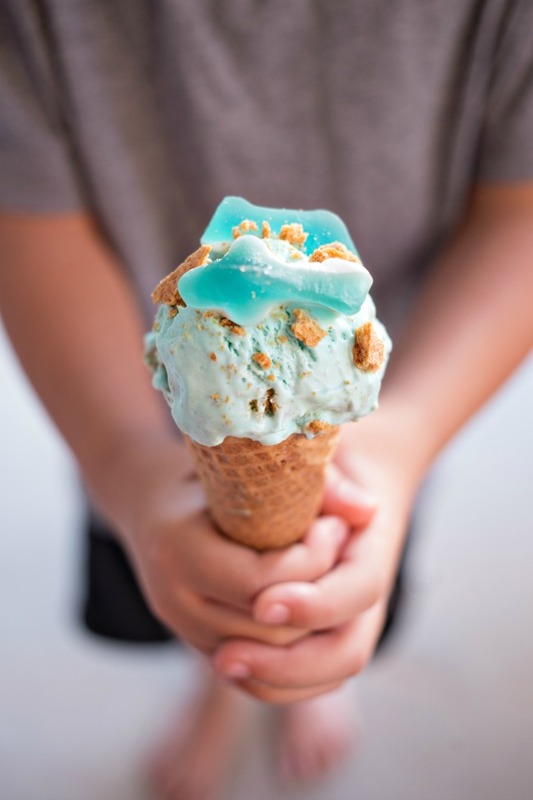 If you love fun ocean themed treats, we have more in store! 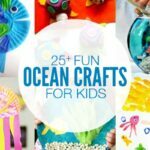 Check out all of these FUN Ocean Themed Recipes from my Creative Foodie friends! 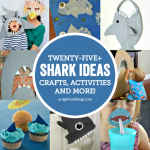 Shark Ideas – Crafts, Activities and More!